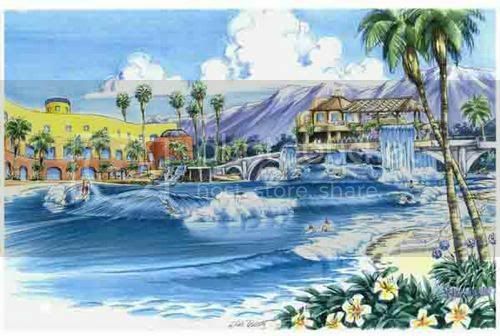 – While he couldn’t disclose the exact dollar value attached, Tom made it clear that the Whitewater deal/venture will certainly provide sufficient funds to cover his deeper dive into the world of surf pools and surf parks. 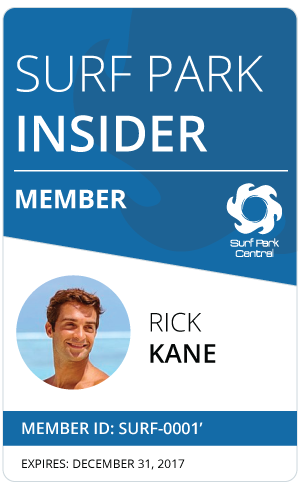 – Historically, the struggle with large scale surf pools/parks has been in creating a product that can drive a large enough annual ROI – roughly 33% per year is ideal in the amusement industry. – In terms of their latest designs, Wave Loch has been focused on the quality, frequency, variability, and fairness in prices of the wave based on what the user wants. Based on his experience with Flowrider and sheet waves, he’s got a very solid idea of what works and does not price-wise. – There has already been some serious interest in one or some of the company’s new designs, and their hopeful to have the first pool build right on the cusp of 2015 and 2016. – Perhaps the most promising news from Lochtefeld is that he’s been working on, and is continuing to work on, engine efficiency for running these pools. Within the next year he plans to unveil an extremely efficient engine that could alleviate large environmental concerns regarding the operation of these large scale pools. Please drop us a line and let us know if you enjoyed the Podcast format. If you have any questions for Tom, ask them in the form below as we’ll be passing them along. Great interview Matt. Interesting to hear more on the acquisition and Tom’s plans for the future. I like the use of a different type of media and the in-depth nature of the piece. Dan – Thanks for the feedback. You’re right, this type of media allows for much more in-depth content. We’re going to start doing these much more often. Would love to get you on! Tom: I’ve been following your work since you and Carl Ekstrom were doing your sheet wave prototype and flowboards. I really, really think that there would be a market for a Flying Reef that could be towed behind a boat. No need to buy/rent big tracts of real estate or to build a giant multimillion dollar recreational complex and there’s tons of boats already out there. Assuming they were only a few grand: Tons of surfers would be buying these Flying Reef’s to hook up to a boat. Good interview. Can you post the presentation that Tom did at the summit of the flying reef. 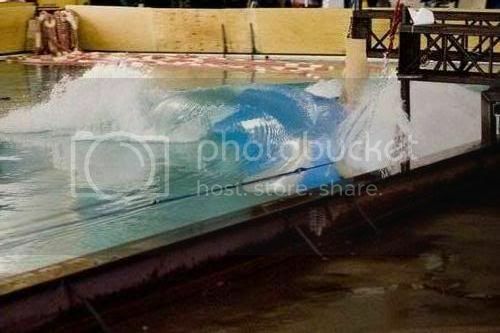 I’ve seen the video of the testing of that (from where the photos posted above came from). I would love to hear Tom elaborate as to the negatives of that technology. 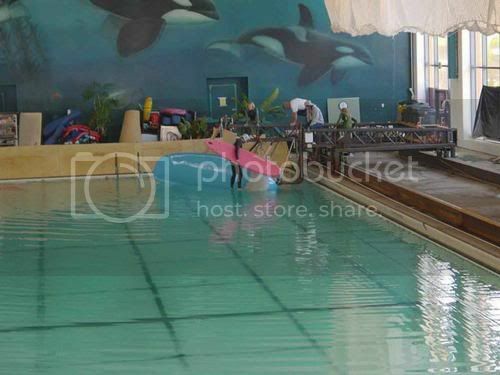 Also, was there have been conflicting reports as to the sale of the flowrider. In one release it says that whitewater acquired all (including the barrel) and then there was a post from waveloch saying that they retained the rights to the barrel and oz. Did the sale have anything to do with the lapsing of the patents.